Rossdale is one of Edmonton's oldest neighborhoods, initially known as Ross Flats. 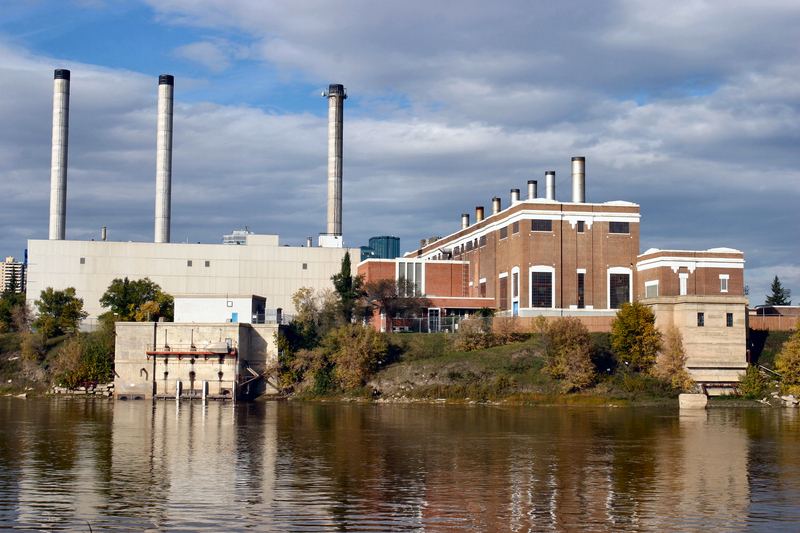 In 1802 two fur trading forts were built in the are of the present Rossdale Generating Station. In 1876 Edmonton's first hotel was built as a residence at the foot of McDougall Hill. The Klondike Gold Rush became a supply point in Ross Flats and the site of several industries, including a brewery, lumber yard, coal mine, a brewery, and an ice house. Edmonton was hosting sporting events for many years at the Diamond Park including, baseball, soccer, and football. However, disaster struck and in 1915 Edmonton experienced a severe flood, and many homes and industries were damaged, and many businesses did not return. Today, a significant portion of Rossdale is devoted to recreation and open space. Most single-detached homes are between the ages of 50 and 75 years old. Rossdale is named after Donald Ross, a businessman who created Edmonton's first hotel in the Rossdale area. Over the year, Donald Ross expanded his home three times, and after his death in 1915 the building was turned into a rooming house. In 1925 the building was destroyed by a fire. A short distance to the west of the neighborhood, along River Valley Road, are The Royal Glenora Club, the Golf Course, and the Skating Oval in Victoria Park. Rossdale real estate is bordered North by MacDonald Drive, East by the North Saskatchewan River, South by the Saskatchewan River, and West by 106 Street. Displayed below are homes for sale in Rossdale, a subdivision located in Central Edmonton. For more information regarding any of the Rossdale Real Estate listings, click the "Request More Info" button located on the detail page of each property.